Lost files or photos due to Damaged SD Card? Thousands of video, pictures on it and wait for recovery? Relax, today we will show you how to perform damaged SD card recovery in 3 steps. Nowadays, most of the electronic devices are using SD card or Micro SD card, Such as Android smartphone, digital camera/camcorder, music player, etc. Many people rely on the convenient and portable SD card to shoot photos, video, store files, music, etc. However, there is one thing we have to tell that the SD card it's easily prone to corruption, we've known that data after formatted or accidental deletion can be recovered with Memory card data recovery software, then how to recover data from damaged or corrupted SD card? 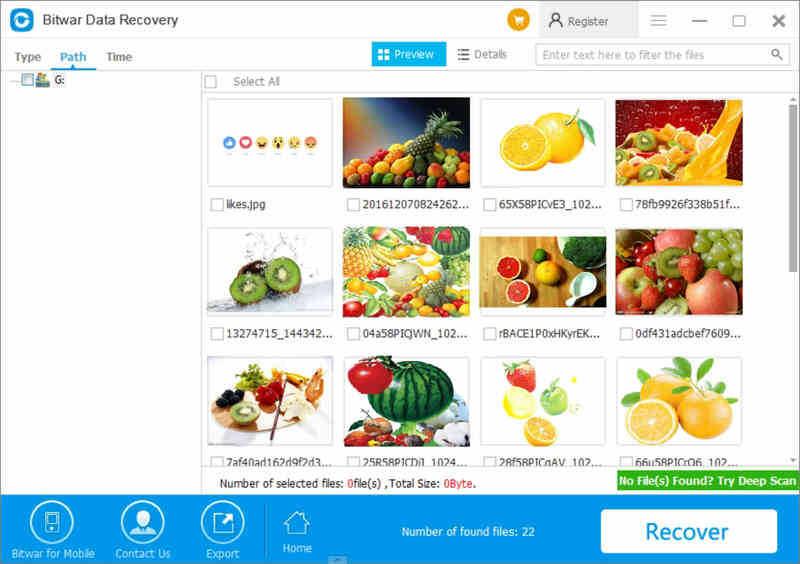 If you have Windows or Mac computer, you can easily download Bitwar Data Recovery software, which is a powerful memory card recovery software can be used to rescue data from Corrupted SD card. How to recover files and photos from corrupted SD card? Step 1. Download Bitwar Data Recovery Software and then install on your Windows computer or Mac, launch the software and find your SD card. Step 2. Click Next to select types of files you have lost, such as choosing Photos only to shorten the scanning time. Step 3. Find your photos and double-click to preview. Click Recover if necessary. TIPS: Save the files or photos to the computer, after fix the SD card, then you can copy the files or photos back to the SD card. After performed the damaged SD card recovery, you can then perform format or run CHKDSK to fix SD card error. How to format SD card? How to run CHKDSK to fix the SD card error without data loss? Generally, the SD card now is all right for using again, you can then copy the files or photos back to your SD card. How much will the Bitwar Data Recovery cost? Bitwar Data Recovery is affordable SD card recovery software that charges you 49$ only for annual membership, and 99$ for lifetime license. Compare with sending to SD card recovery shop, they usually charges you 15$ for every 25 pictures, and the math isn't hard to calculate, more than 600$ you'll have to pay if you would like to get all of the pictures back. Previous：What is SD card and how to recover lost data from SD card? Next：How to free recover a formatted SD Card?